I really wanted to enter this challenge but was having such a hard time with the unusual ingredient. Then I remembered that I had a sample tub of horsetail butter from WSP. Aha!!! 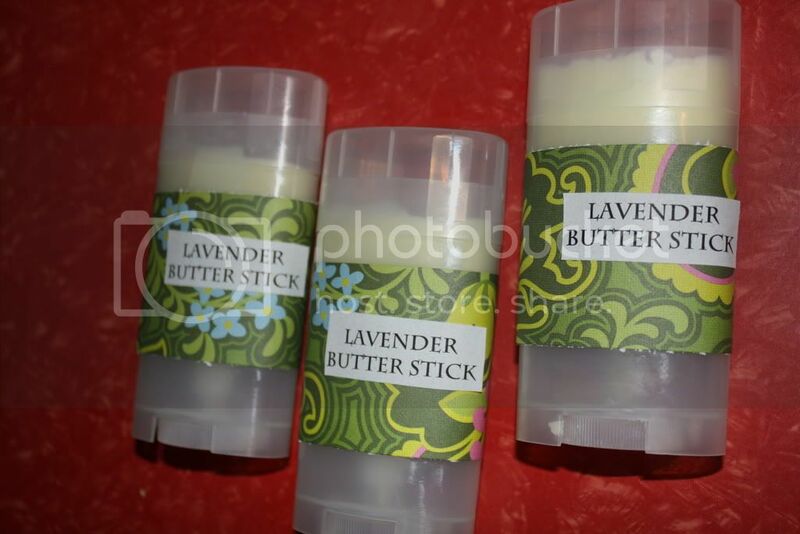 But I didn't have time to make soap soooooooo I whipped up some horsetail butter butter sticks. I only had enough butter to make 3 sticks but they feel awesome and I scented them with lavender so they smell awesome too. "Contains Horsetail Extract, believed to contain the building blocks needed for collagen and elastin synthesis in the skin. Also thought to help rebuild and regenerate damaged skin cells. Contains Sweet Almond Oil, a natural moisturizer that is thought to relieve (among other things) itching. All Natural." I don't think I will beat out chicken oil or baby formula but I had to enter this challenge. MareMare has worked hard to make this board more interesting and I wanted to participate because of that. Thanks MareMare!!! 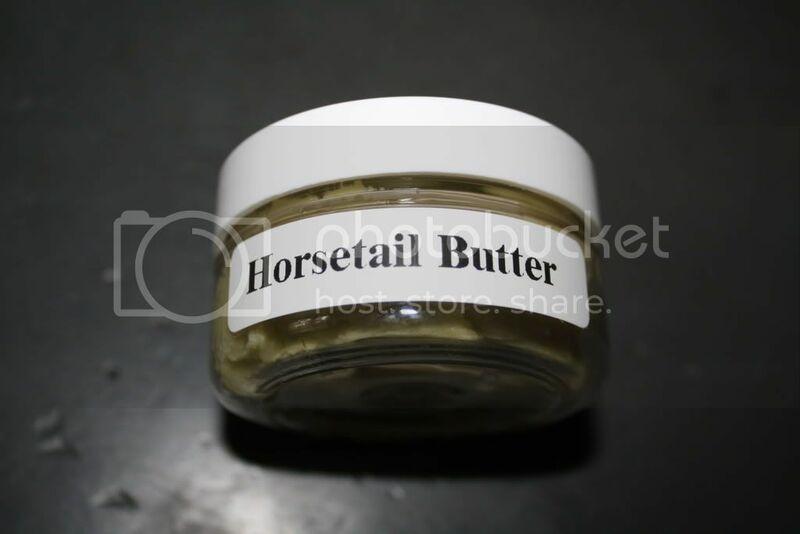 Horsetail Butter!!! That is Wonderful! I've heard of the plant Horsetail, but never knew someone made a butter out of it. That lotion bar recipe sounds wonderful!!! Hehe that is full of win! I mean the name alone makes me giggle! I have never even heard of that before. MareMare has worked hard to make this board more interesting and I wanted to participate because of that. Thanks MareMare!!! Indeed! Had to quote for truthiness. I saw these and had a 'wait a second...' moment. They look familiar! Of course they look awesome and now I am so intrigued by this horsetail butter stuff. My stick still has a little left-I am like a terrible addict who just sits there and smells it and tries not to use too much or it will all be gone Of course I usually cant control myself and it ends up everywhere.....And I end up sniffing myself! Anyways, good luck with the challenge-you definitely get my vote! hadn't heard of horestail butter...sounds cool! I love solid lotion sticks I'll have to get some more tubes because I need to make more! I've never heard of horsetail butter! Sounds really neat. Did it have any kind of smell on its own? Did WSP just send a free sample in a shipment? As always I love your packaging! Thanks guys, you are so sweet! I didn't really notice that the horsetail butter had a smell of it's own. WSP hosted a soap swap and I participated. They sent a lot of samples(which included 6-2 oz. 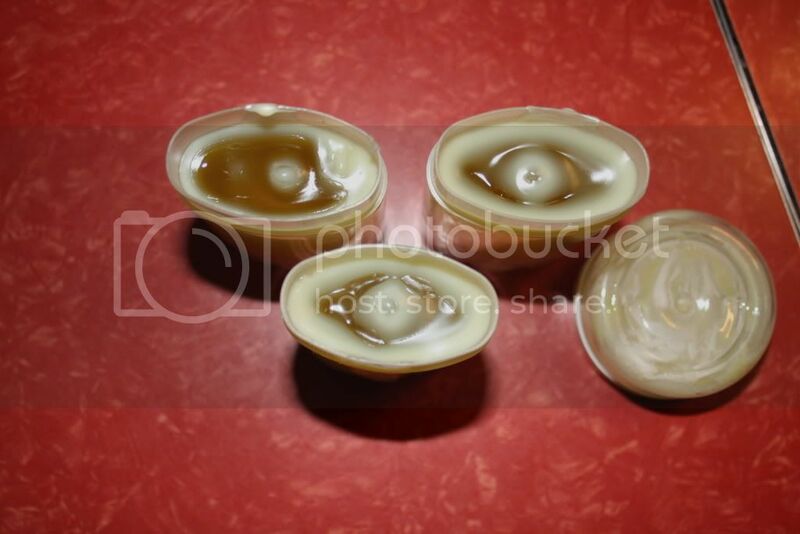 bottles of fragrance, horsetail butter, shea butter, there was a amber colored plastic jar w/ two lids, shower gel base) with the package. They charged $5 for shipping and that was it. I think they charge more now to participate. This I must look into!